Russo’s Mozzarella & Pasta is a gem of a shop in the East Village. Since 1908, the tiny Italian grocery has been supplying the hood with fresh pasta, meats, bread, antipasti, and cheese. Pretty much any edible Italian item you can imagine. 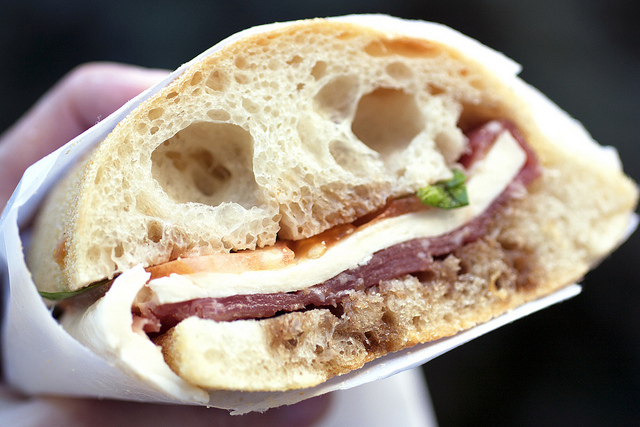 For immediate eats, the store also sells sandwiches (all around $8). Don’t expect giant, overloaded Italian-American heroes here. These are more simple, and totally manageable to finish on your own. 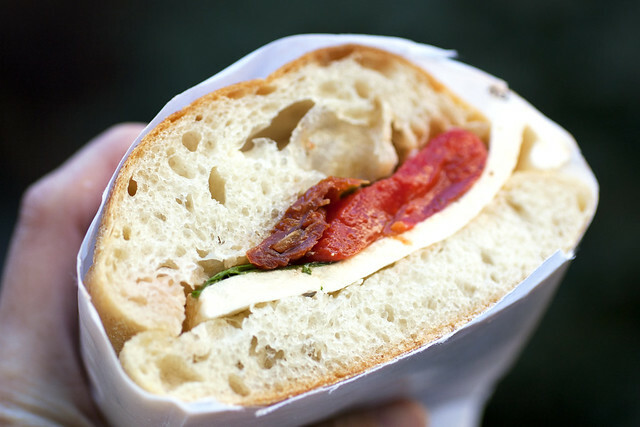 The Italiano (pictured above) — comprised of prosciutto, fresh mozzarella, tomato, basil, and balsamic vinegar — is solid, although more prosciutto wouldn’t hurt. The same goes for the Caprese, which is made of fresh mozzarella, roasted peppers, sun-dried tomatoes, basil, and olive oil. It’s good, but will leave you aching for some animal protein. A little prosciutto always makes everything better. 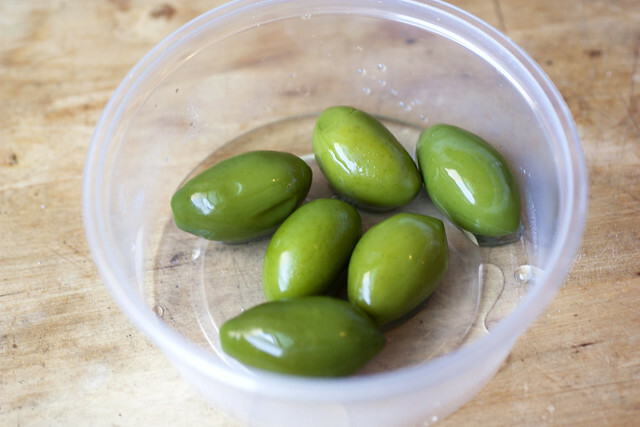 So do the meaty Castelvetrano olives ($7.99/lb) which have a buttery, crisp bite. My only complaint is that they’re so good, I’ll binge eat them and then can’t eat them for a few weeks after.